Far too many people suffer from a zinc deficiency, which is very unfortunate because it’s such an important mineral. You need to eat foods high in zinc for many reasons, chief among them the benefits it can provide to your immune system. Here’s a look at how the mineral helps boost immunity, as well as ways to increase your intake. Zinc is an essential nutrient that plays a critical role in helping to produce antibodies that fight infections. It also helps protect you from the damage that free radicals can do to your tissues and muscles. 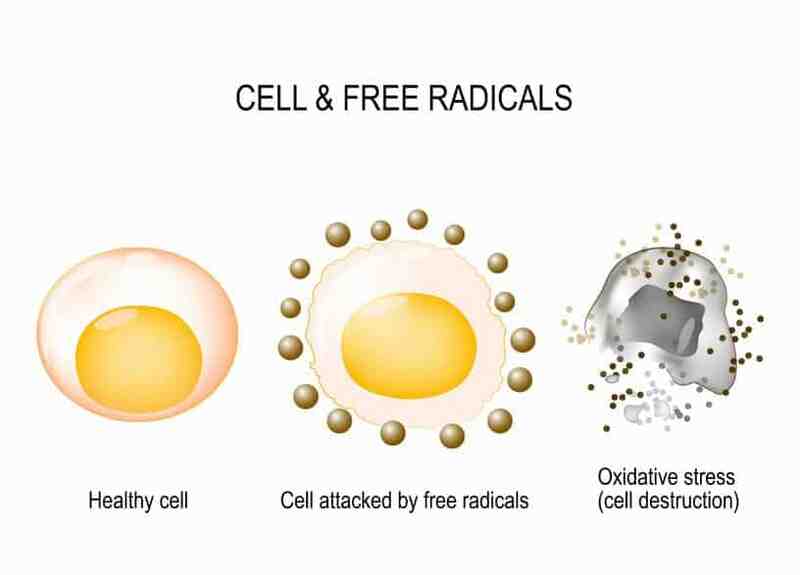 Free radicals, which are a byproduct of oxidation, are molecules that are missing an electron. They move throughout the body, “stealing” electrons wherever they can. Unfortunately, the victims of this type of theft are your cells. When your cells lose an electron, they become damaged and can’t do their jobs correctly. 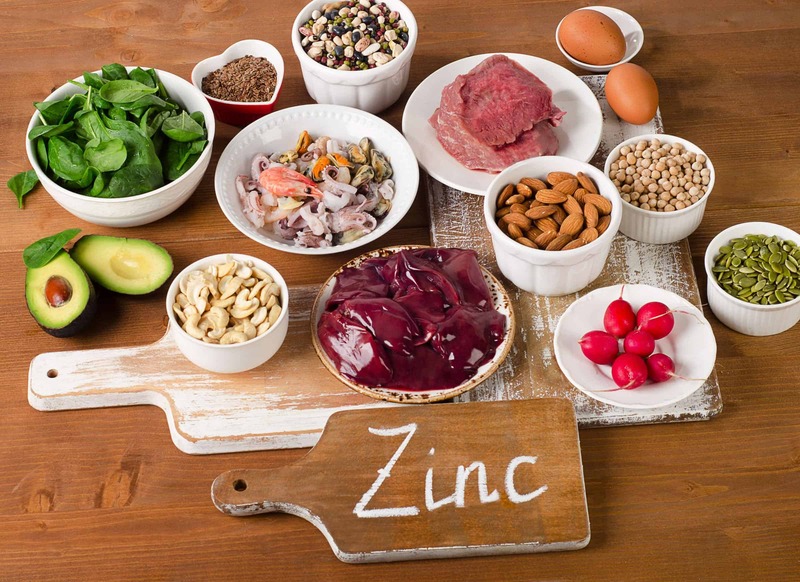 The recommended daily allowance (RDA) of zinc is 11 mg for men and 8 mg for women.4 Here are a few of the foods that are high in zinc that you might want to consider incorporating into your diet if possible. 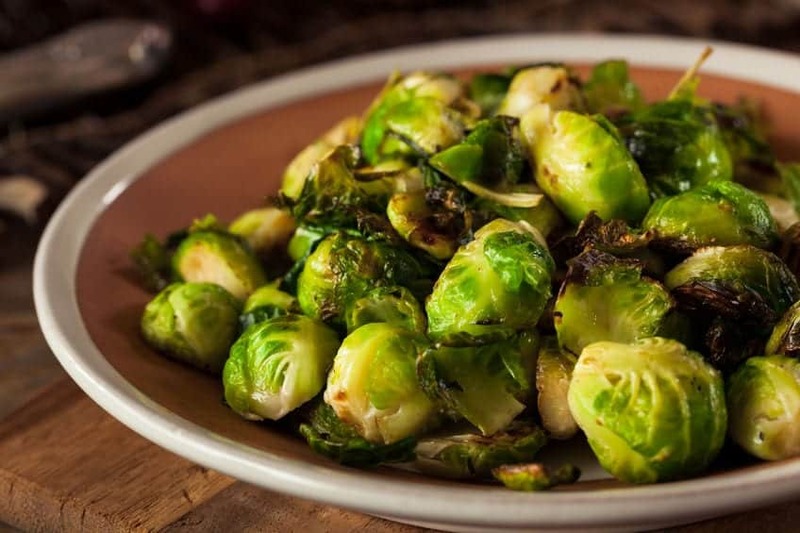 There are certain vegetables that are high in zinc, especially lima beans, peas, and soybeans. Eating as little as a cup of soybeans can provide you with as many as 9 mg of zinc, while the same amount of lima beans and peas will deliver about 2 mg. Spinach is another good source of zinc, delivering about 1.5 mg. Green beans, asparagus, and Brussels sprouts contain anywhere from .5-1 mg of zinc. Cashews are extremely rich in zinc – you can get nearly 6 mg in just a half-cup serving. Other good sources of zinc include pecans, almonds, peanuts, hazelnuts, and pine nuts. Cereal is not only a great way to get the fuel you need to start your day, it’s also a good source of zinc. Multigrain and whole grain cereals tend to have the highest levels of zinc. A half-cup serving of roasted pumpkin seeds will provide about 10 mg of zinc. 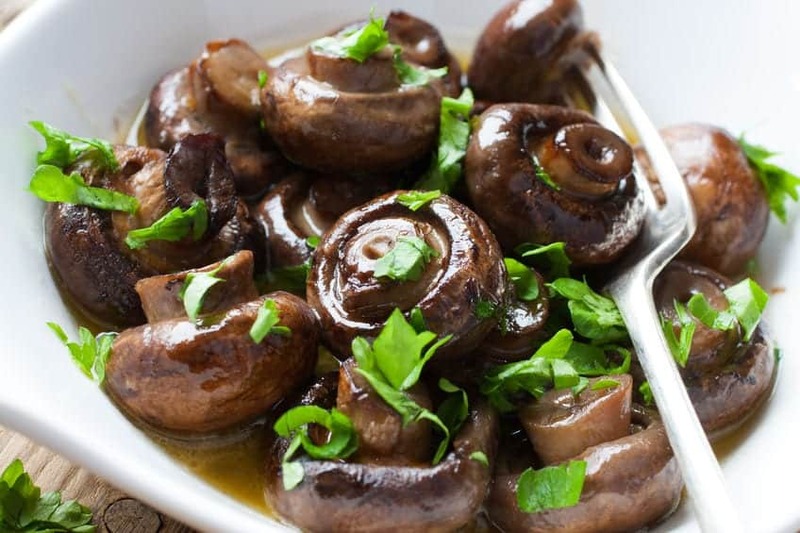 Mushrooms also have a substantial amount of zinc. For example, a half a cup of dried shiitake mushrooms contains about 8 mg.
Meat is a good source of zinc. Eating a half-cup of lean beef will provide as much as 10 mg. The same amount of lean pork can provide as much as 7 mg. Chicken is another good source of zinc, containing up to 7 mg.
Baking chocolate not only tastes fantastic, it can also help boost your zinc supply substantially. As little as a half-cup square contains nearly 10 mg, while the same serving of cocoa powder has 7 mg. In addition, having an excessive amount of zinc (50 g or more per day) could lead to a copper deficiency. This is important because a lack of copper can lead to bone and tissue abnormalities, and even neurologic issues. Copper plays a key role in helping to produce red blood cells and to also ensure that your central nervous system works properly.7 That’s just one of the reasons why is so important to always keep your zinc levels balanced. 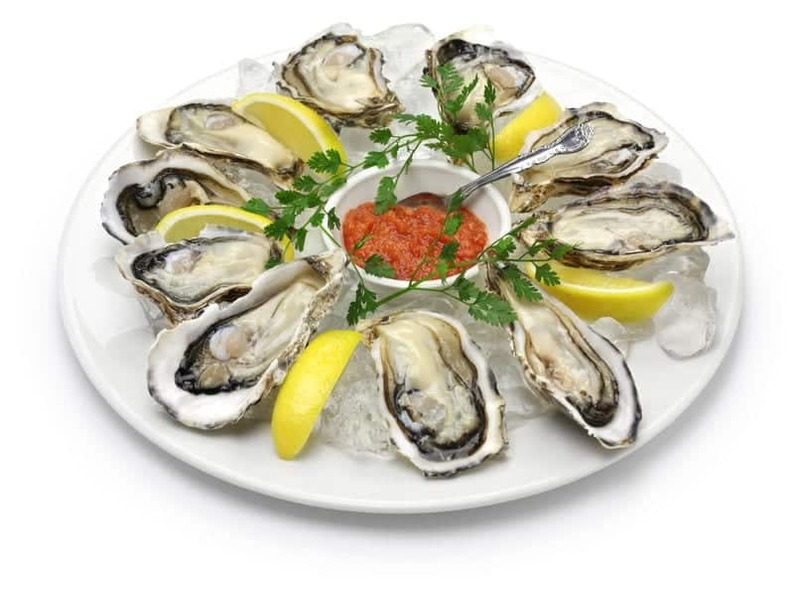 While zinc is great for you, it’s very important that you’re careful not to get too much. Talk to your doctor about how to make sure you get the right amount. Underwater Treadmill: The Future of Physical Therapy?